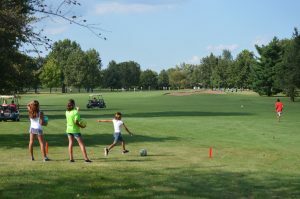 Hickory Point Golf Course, 727 Weaver Rd. 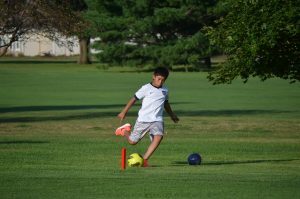 Experience Hickory Point Golf Course in a whole new way…with FootGolf! 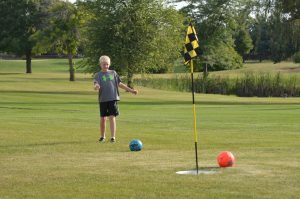 The USFGA certified, 18-hole FootGolf course is integrated into the front 9 of the golf course. Players keep score like golf while kicking a soccer ball down the fairway toward the checkered flags and into the cup. Golf carts can be rented for play. Give it a try! Course maps, rules, and scorecard can be found below. Schedule your tee time at 421-7444.